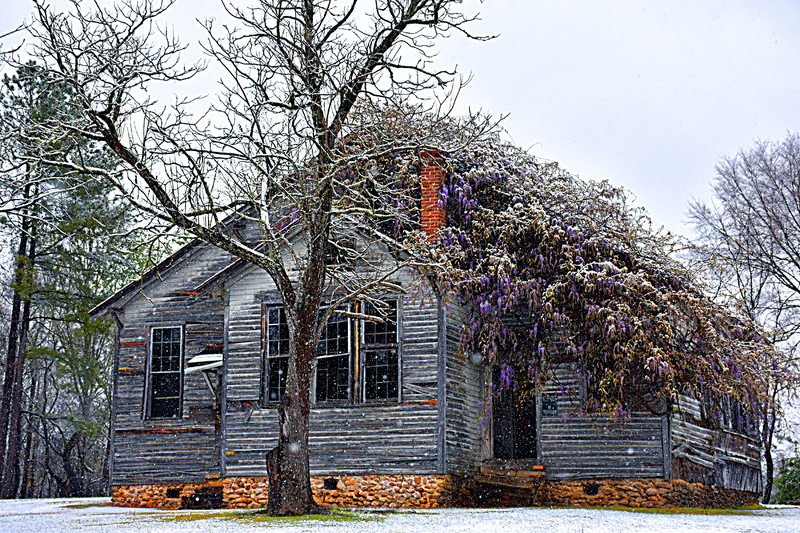 South Carolina snow is beautiful when you can find locations tucked outin the middle of nowhere. The lighting created an almost plain photo save for the colourful highlights of this abandoned structure. Please let me know if you would like a print of this photograph.